Happy Wednesday! 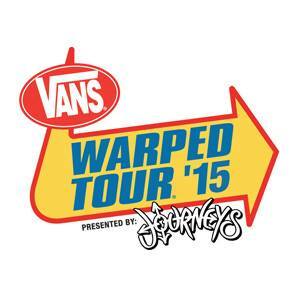 As usual, another group of bands has been announced today for the 2015 lineup of the summer Vans Warped Tour. Today the lineup extended to include Being As An Ocean, Born Cages, While She Sleeps, and Rotting Out. Follow up with Under The Gun every Wednesday for a continuation of the Warped Tour 2015 lineup and go to the website to grab your tickets. What bands are you hoping to see on next week’s list?